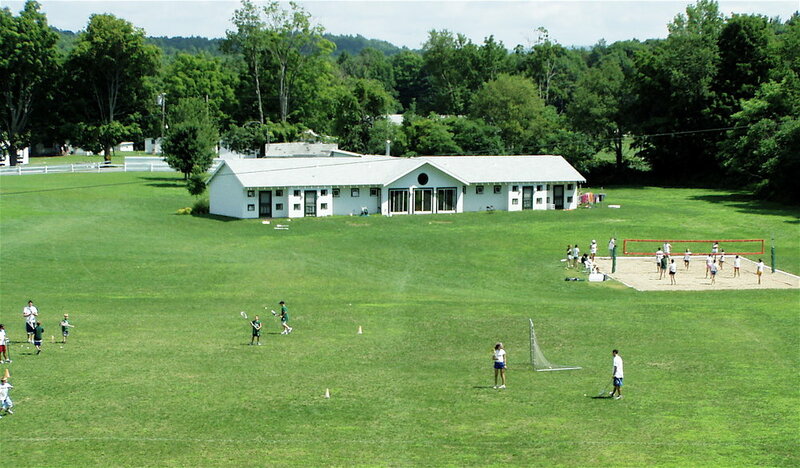 There are many outdoor sports facilities at Camp Max. 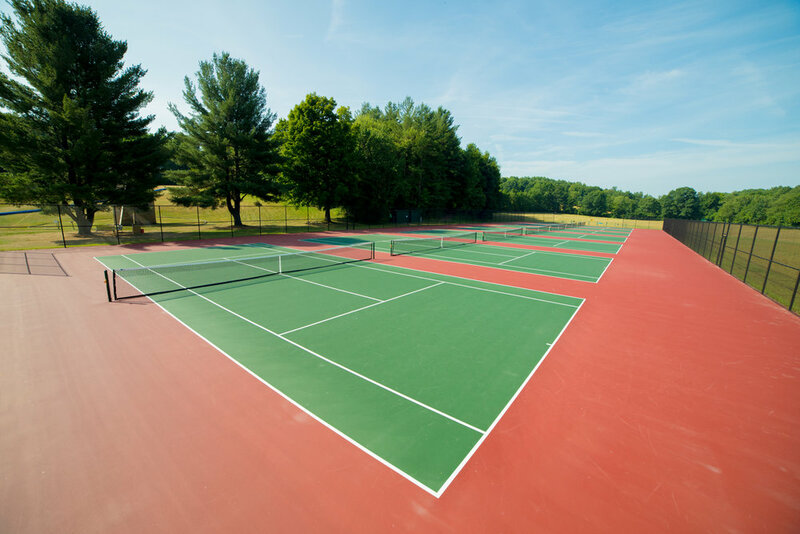 We have seven beautiful tennis courts, two soccer fields, two basketball courts (one floodlit), one sand volleyball court, one regulation-sized street hockey rink, a 300 yard golf driving range, one softball/kickball field and a batting cage. And for our youngest campers, we have junior-sized basketball hoops, a small gaga court and multiple tetherball courts.